Mayor Miro Weinberger delivers his State of the City address. 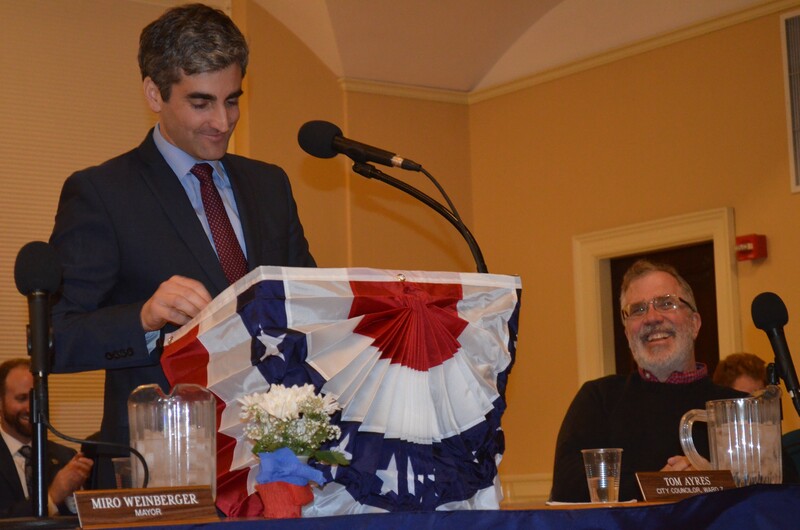 Behind a podium gussied up in red, white and blue, Burlington Mayor Miro Weinberger delivered his fifth “state of the city” address Monday night. Mayors assess their own performance at this annual display of pomp — spoiler alert: they usually give high marks — and outline goals for the upcoming year. Weinberger pledged to help deliver on the private redevelopment of the Burlington Town Center mall, calling it the “greatest housing and job creation opportunity before us,” and to find new uses for downtown parking lots and other “underutilized” sites. In a move that pleased the Progressives in the room, he spent a considerable amount of time talking about the importance of affordable housing and addressing homelessness. Republican Councilor Kurt Wright and Progressive Councilors Selene Colburn and Max Tracy were generally positive about the mayor’s speech. All three, however, noted one item that went unmentioned: Burlington Telecom. The once beleaguered municipal telecommunications company is now rapidly gaining new customers, but because of a settlement agreement, the city must sell it soon. Councilors expect a lively debate about who the best buyer will be. Three years ago, it took six voting rounds for the council to finally settle on a president. 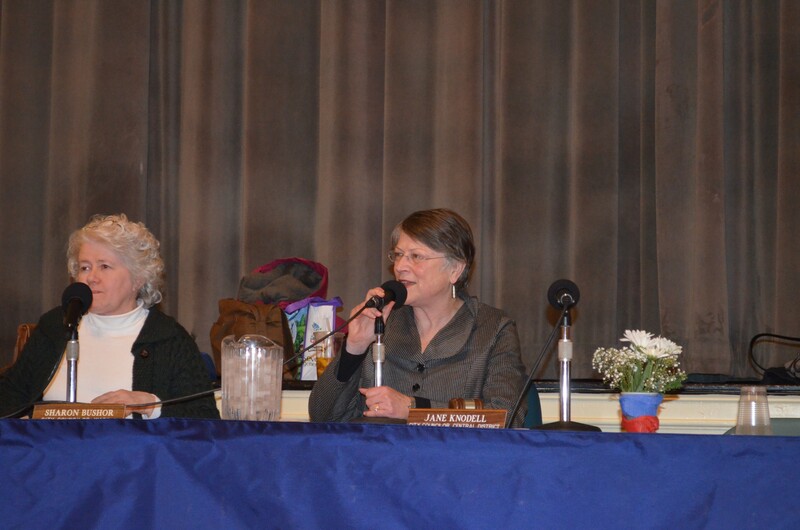 This year, it took about three seconds for members to elect Jane Knodell to another year at the helm. The Progressive is known for taking a no-nonsense approach and consistently runs meetings at an efficient clip. While the lack of discord signals that the council is functioning well, at least one audience member was disappointed by the lack of drama, muttering incredulously, “Oh come on, guys!” after the unanimous vote.